The Force Awakens did something no other Star Wars movie had done: it made a hero out of a Stormtrooper. But doing that complicates what it means to kill the ubiquitous canon fodder of this fictional universe. 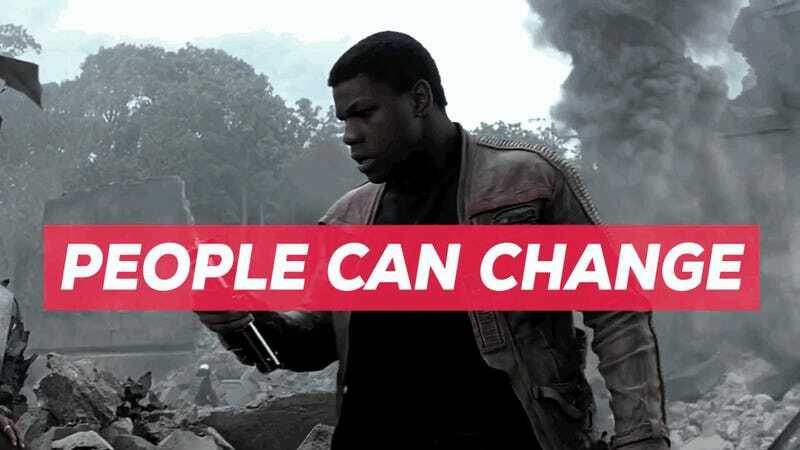 In the latest edition of his Pop Culture Detective Agency series, Jonathan McIntosh breaks down how the start of Finn’s hero journey makes the existential quandary of killing stormtroopers a lot murkier. After all, if Finn can reject the programming that made him a soulless grunt in an oppressive regime, couldn’t other stormtroopers do the same?